Locations: Agoura, Simi Valley, Santa Clarita others locations TBD. 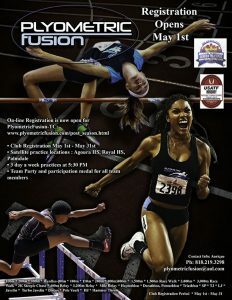 FIRST PRACTICE and PARENT MEETING at Agoura High 5/17 @ 6:00pm. 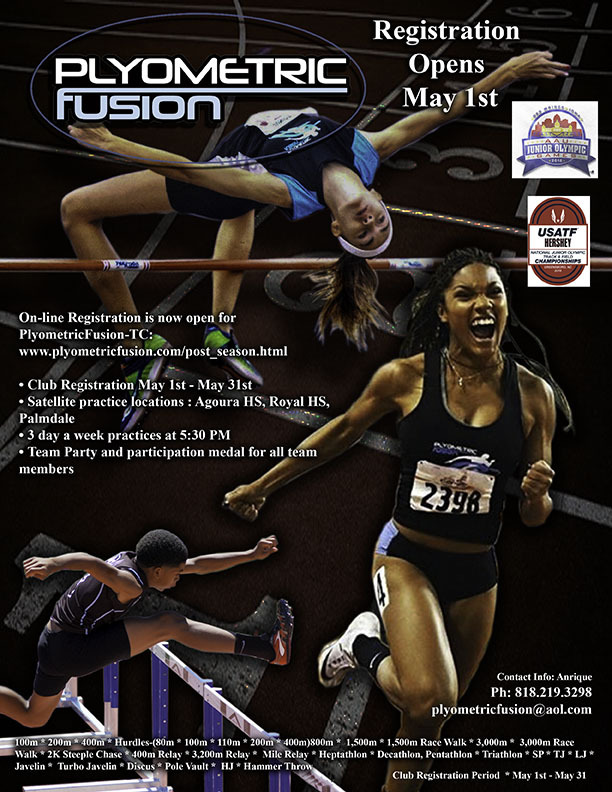 NOTE: VCYTC and its member clubs are not affiliated with Plyomteric Fusion – however we recognize Plyomteric Fusion to be a viable option for athletes seeking post season track at a national level.